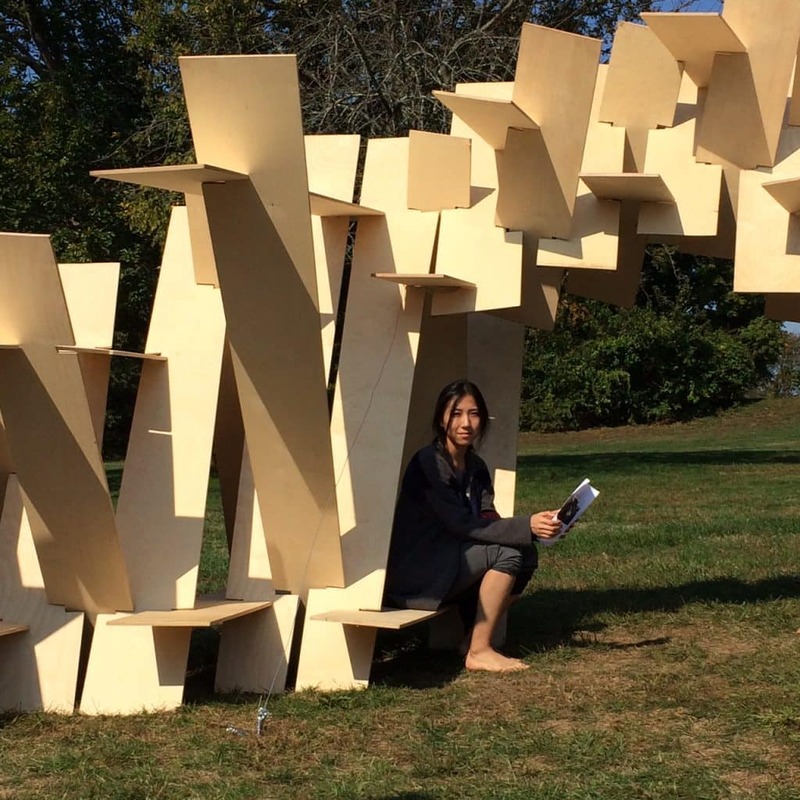 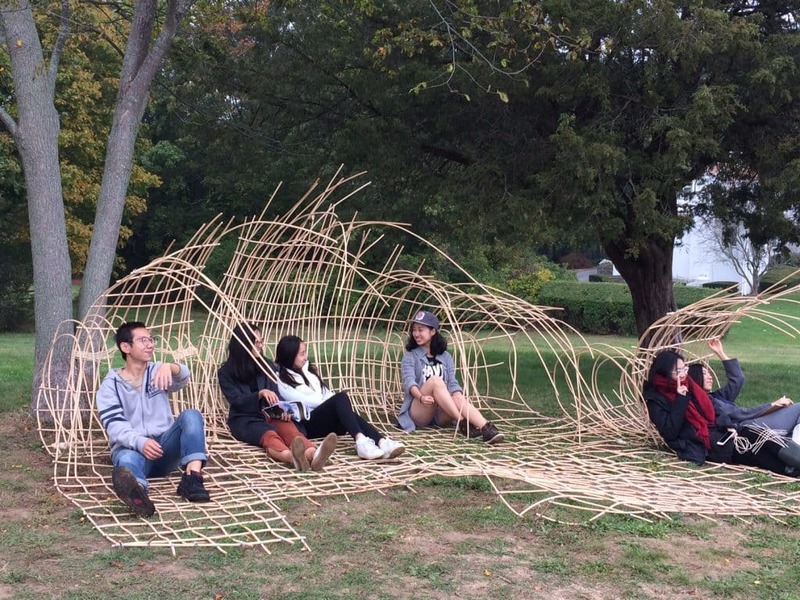 First year graduate Landscape Architecture students focused on three different forms of wood, to design and build installations at Tillinghast Farm. 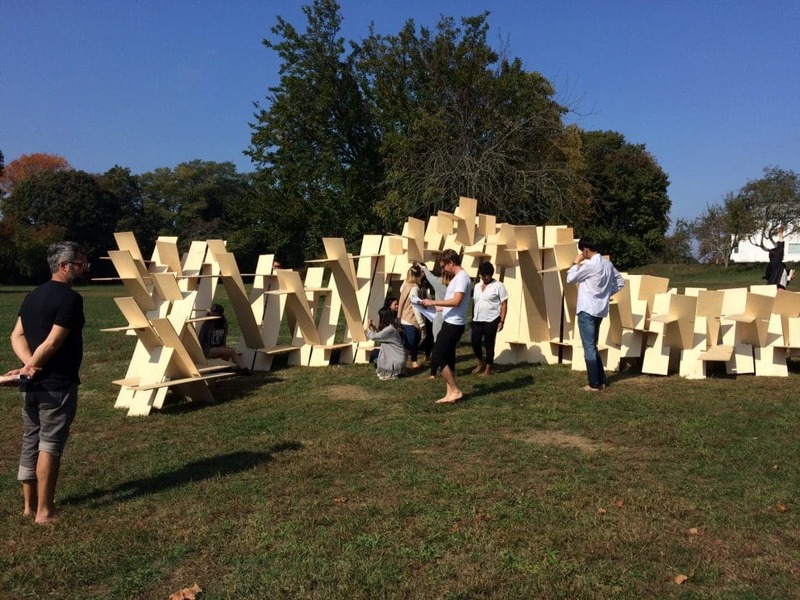 Three groups focused either on plywood, 2x2’s, or rattan in the design of a structure that captured particular site phenomenon. 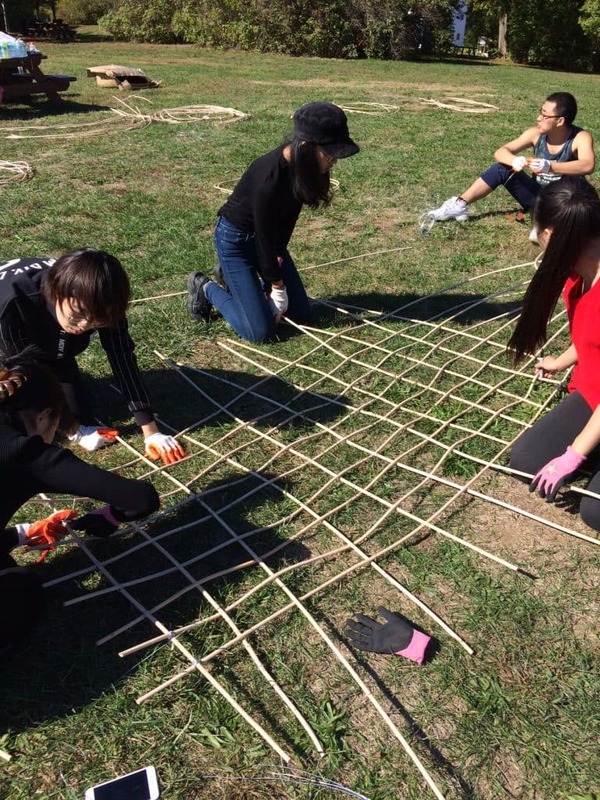 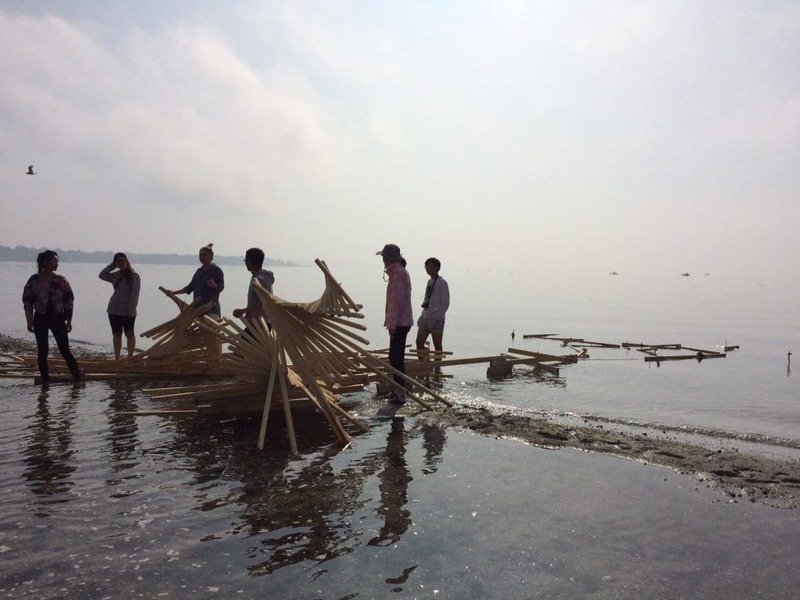 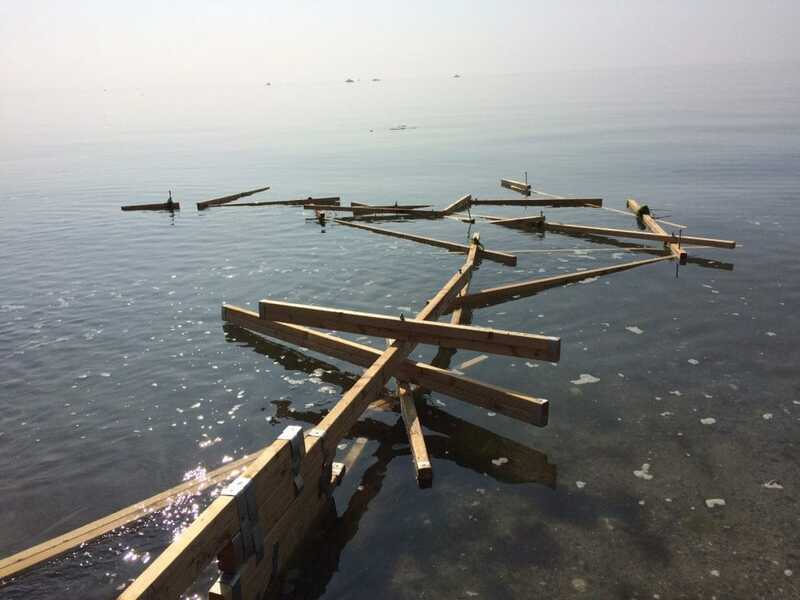 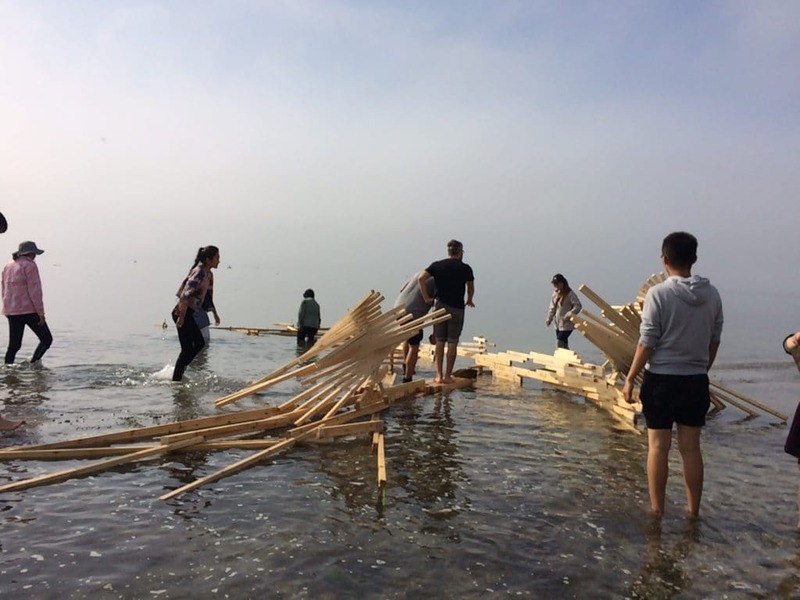 Specifically, the plywood team materialized light through their pyramidal, south facing modularized surfaces, the rattan team created seating elements that vibrated in response to the wind, while the 2x2 team created a measuring device for the tides.